Microsoft on Tuesday confirmed that it plans to acquire Internet communications service Skype for $8.5 billion in cash to support services like Xbox and Windows Phone. The two companies announced they have entered a definitive agreement that has been approved by the boards of directors of both Microsoft and Skype. In a statement, Microsoft said the combination will extend Skype's world-class brand and the reach of its networked platform, all while enhancing Microsoft's existing portfolio of real-time communications products and services. "Skype is a phenomenal service that is loved by millions of people around the world, Microsoft Chief Executive Steve Ballmer said. "Together we will create the future of real-time communications so people can easily stay connected to family, friends, clients and colleagues anywhere in the world." Under the deal, Skype will become a new business division within Microsoft, and Skype CEO Tony Bates will assume the title of president of the Microsoft Skype Division. In that role, he will report directly to Ballmer, the head of Microsoft. 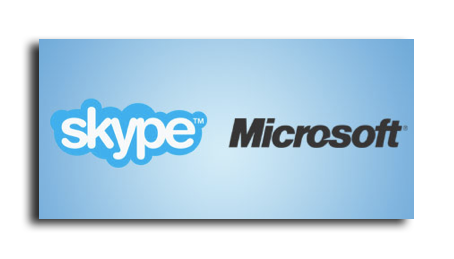 'Microsoft and Skype share the vision of bringing software innovation and products to our customers," Bates said. "Together, we will be able to accelerate Skype's plans to extend our global community and introduce new ways for everyone to communicate and collaborate." Skype will support Microsoft devices like Xbox and Kinect, Windows Phone and a wide array of Windows devices, and Microsoft will connect Skype users with Lync, Outlook, Xbox Live and other communities. Microsoft will continue to invest in and support Skype clients on non-Microsoft platforms. Skype applications are currently available for both iOS devices and the Mac. Founded in 2003, Skype was acquired by eBay for $2.6 billion in September 2005, and then acquired by an investment group led by Silver Lake in November 2009. In the last 18 months, Skype has reportedly increased monthly calling minutes by 150 percent, developed new revenue streams and strategic partnerships, acquired the intellectual property powering its peer-to-peer network, and recruited a new senior management team. Rumors of a Skype deal surfaced earlier in the week. Sources told The Wall Street Journal that Google and Facebook were also seen interested in acquiring the company. Apple's own FaceTime standard for video chat has seen great success since it debuted on the iPhone 4 last year. FaceTime support now spans across Apple's product lineup, including the iPod touch, iPad 2, and Mac hardware.